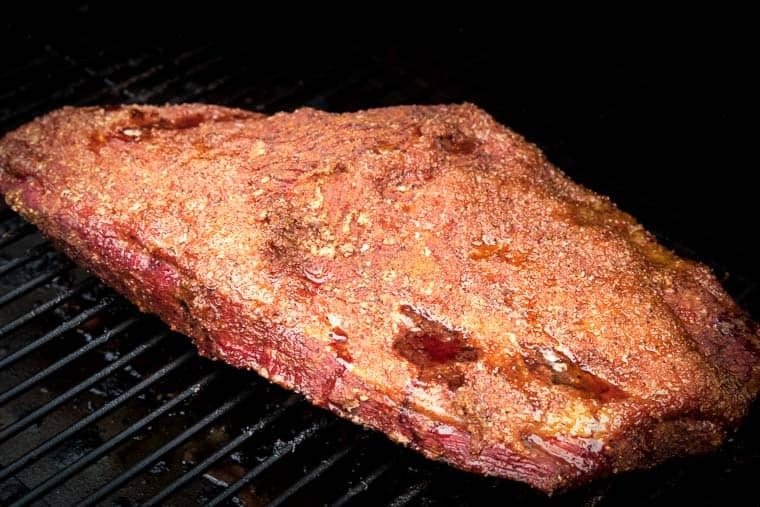 Smoking a beef brisket takes time and patience but the end result is an amazingly crunchy bark, juicy brisket that’s bursting with smoked meat flavor. It’s the ultimate backyard smoker recipe on your Traeger! 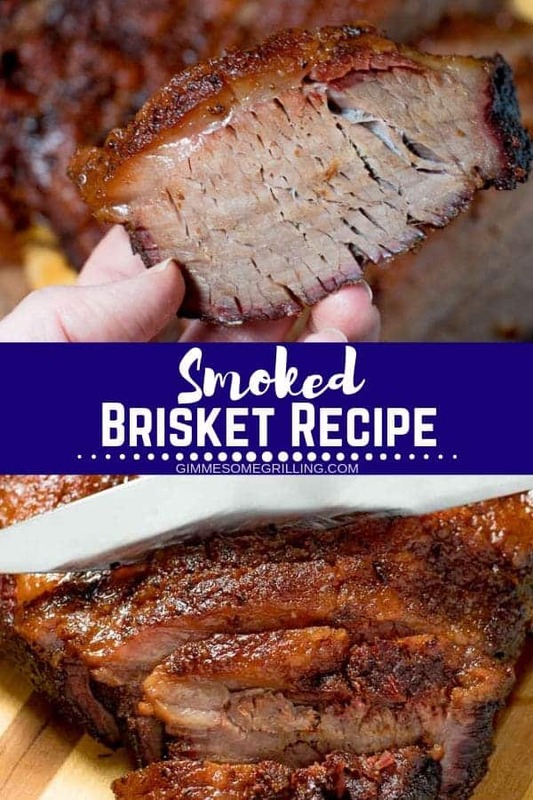 Fire up your electric smoker, make a quick brisket rub and you’ll have a delicious Smoked Brisket recipe that everyone will be raving about! 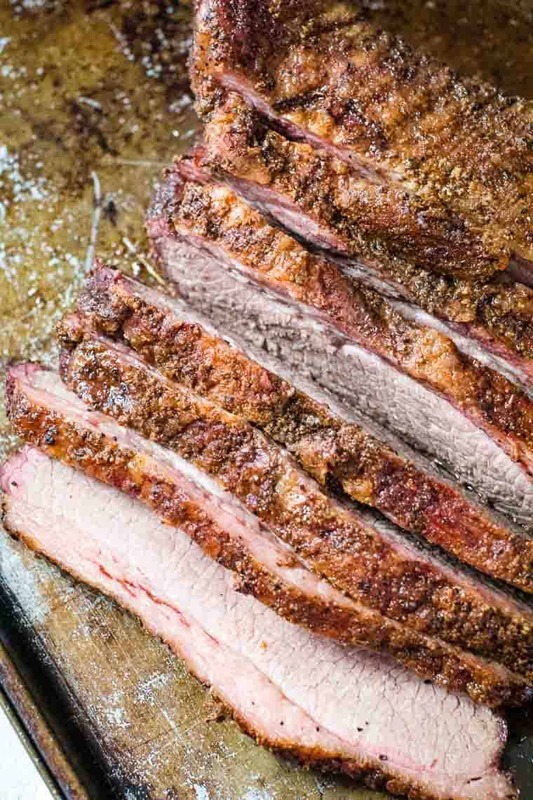 Getting a tender smoked brisket can be a challenge and a learning process, but if you’re a fan of smoked meat, you know that you’ve got to perfect this cut! The first thing to know is this cut is from the front lower breast area of the cow, right about the front leg. Obviously, this is a muscle that is used constantly so it doesn’t start out as a tender cut of meat. Learning how to smoke it correctly is the first place to start! The next step is seasoning the meat. 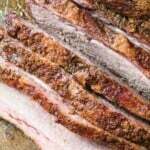 Use a great rub – this recipe for brisket rub, it’s really my favorites! Other rubs like Sweet and Smoky Rub or Dry Rub for Ribs will be tasty too, but in my opinion, the brisket rub has the perfect combination of flavors for this cut of meat. 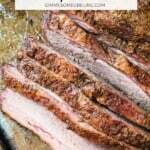 Tips to smoke a Traeger Brisket! Purchase a larger roast – go big or go home with a 13-15 pound brisket. Trim the brisket, removing any silver skin and excess fat that will not be rendered off during the cooking process. When it’s done smoking be sure to allow the meat to rest before slicing! Why do you wrap brisket when smoking? Wrapping brisket will seal in the juices, helping to keep it moist and tender! We use this butcher paper! I’ll admit that we took a few tries to get the brisket rub and cooking method just right before we shared it with you. It was well worth the effort because this is AMAZING and delicious. I was recently out to eat and we had brisket at the restaurant. I leaned over and told Jason that it was good, but his brisket was so amazing and flavorful it had ruined me forever and nothing would measure up! What do you put on brisket before smoking? Definitely add a dry rub, if possible add the rub a day or two ahead of smoking. This will allow the meat to absorb all that flavor! How do you rub a brisket? Definitely not with a light hand, make it a workout! Really massage the rub into the meat, being sure to get all sides of the brisket, top, bottom and the edges. This smoked brisket takes a bit of time, but it’s well worth the effort and patience. 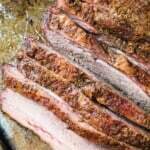 The result is a brisket that is tender, juicy and bursting with flavor. My mouth is watering just thinking of it! 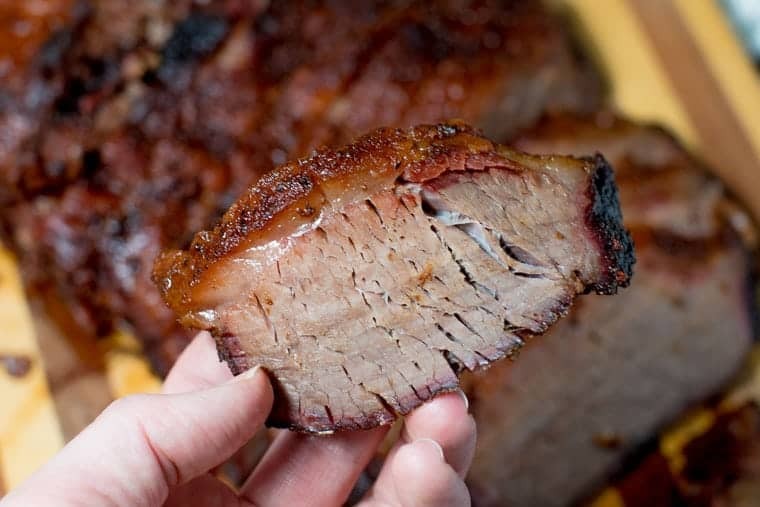 Do you smoke a brisket fat side up or down? 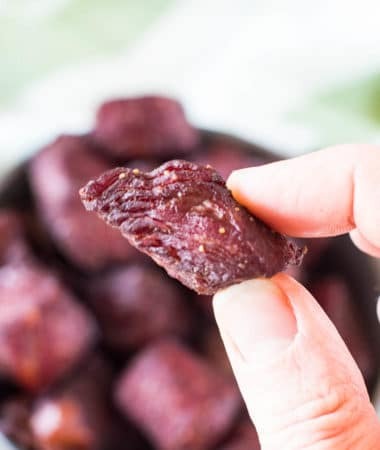 A thin layer of fat will help protect the meat from drying out. Keeping the fat between the heat and the meat will help keep the meat from drying out. How long do you smoke a brisket? Smoking the brisket will take 50-60 minutes per pounds. I think smoking a brisket and having it in your arsenal of smoker recipes is important. It seems like when people buy a smoker perfecting the brisket is like a right of passage. I’m glad that we did it and now we can share it with you! Do you turn brisket over when smoking it? Yes, you will flip it over at least once during the smoking process to ensure the meat is evenly cooked. 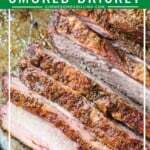 How do you make smoked brisket? Remove brisket from fridge allow to come to room temperature. Trim any silver skin and excess fat from the brisket. Spread the rub over the brisket, massage into the meat well. Place the brisket on the smoker. Smoked until the internal temperature is 155 degrees F.
Remove from smoker and let rest for 1 hour before slicing. Potatoes are great to serve with Smoked Brisket – here are some of my favorite recipes! 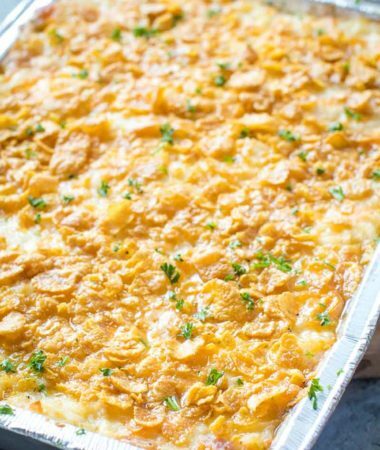 Be sure and comment below with five stars for this delicious recipe! 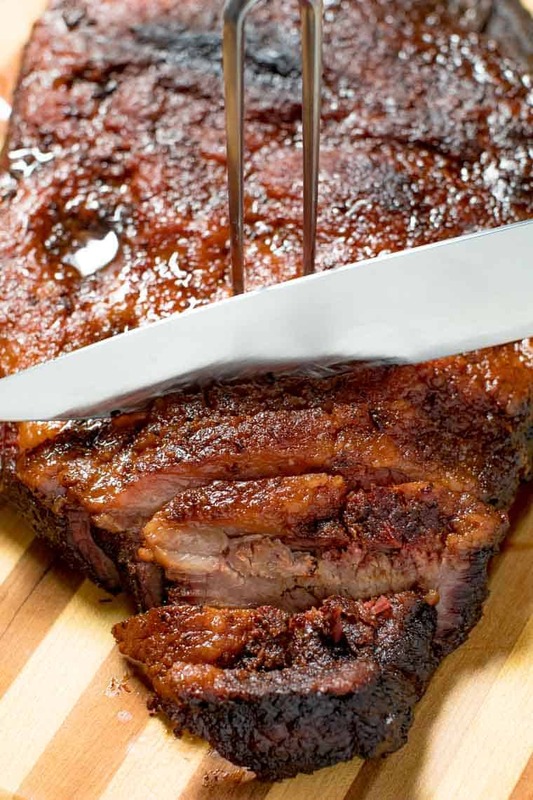 A delicious, easy smoked brisket recipe made on your Traeger electric smoker. 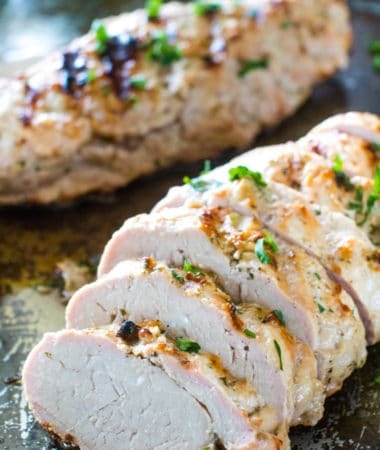 Tender, juicy and so much flavor from the homemade rub. 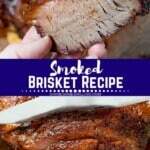 Make this beef brisket today! Remove brisket from fridge place on large cutting board. Remove any silver skin and excess fat from the brisket. Square the edges and ends of the flat. Spread the rub over the entire brisket so it's completely covered. Preheat your smoker to 225 degrees F according to manufacturer's directions. Place the brisket on the smoker. 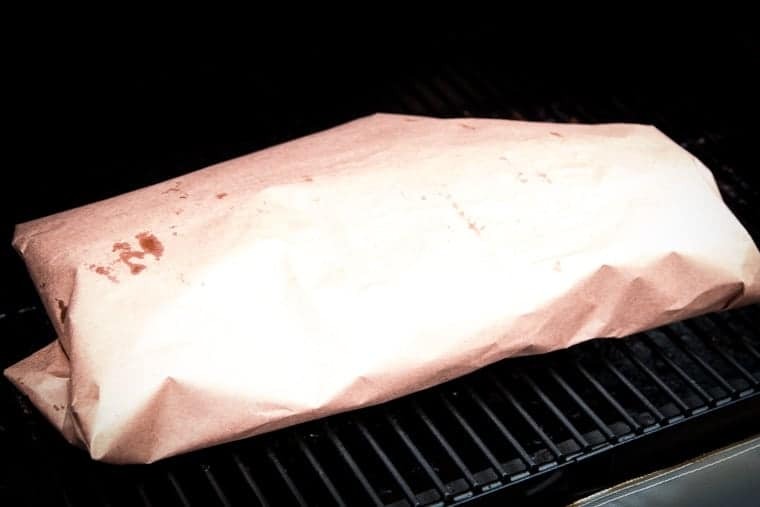 Smoked for 4-5 hours or until the internal temperature is 155 degrees F.
Remove the brisket from the grill and wrap in butcher paper. Place back on the smoker for an additional 4-5 hours or until the internal temperature is 202 degrees F in the thickest part of the brisket. Remove from smoker. Place brisket on large cutting board. Let rest for 1 hour before slicing. Slice brisket against the grain and serve immediately. Brisket is delicious, and smoked makes it more so! I don’t know if I’ve ever even HAD brisket! If I have, I didn’t know it! I’m starting to feel seriously deprived! Oooooo you have been deprived and you need to change that! I have a brisket in my freezer right now and I’ve been saving it to try smoking it someday!! Can’t wait! !